Supporting Parents. Nurturing You and Your Family. 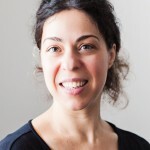 Postnatal Doula North London. Supporting parents to transition into family life. 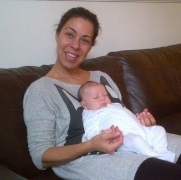 Experienced Postnatal doula in breastfeeding support, baby care and development, sleeping rhythms, postnatal recovery. As a postnatal doula North London I can visit you in your home or in Hospital from as early as your baby’s birth-day and be with you for as long or as short as you wish. My role as a doula is nurturing you and your family in the way that makes you most comfortable, making sure you feel looked after so you can in turn look after your baby at your best and enjoy the postnatal period. My goal is supporting you in the delicate, and often overwhelming transition to parenthood. Helping you to acknowledge your successes, find options and possible solutions to challenges and build your confidence as a parent. I offer an active listening ear and practical help. And I always encourage you to develop your own parenting style, making your own choices in the often confusing postnatal period. A time often filled with questions but too many contradictory advices and opinions. I will be there empowering you to find your own answers, and enjoy the time with your baby feeling relaxed confident and cared for. Help with breast-feeding: attachment and position (latch), Tongue ties, milk supply, mixed feeding, expressing (hand expressing or pump) etc. Help in creating an emotionally secure and safe place for you, your partner and your baby to thrive. Develop strategies and skills that will improve the bond with your baby. Spend time with you to chat about any doubts you may have allowing you to find your own answers, your own parenting styles, and encouraging you to be the mother you want to be without necessarily being influenced by your own parents’ style or books. Support you with knowledge of baby’s development, providing educational material if requested. Help in establishing ‘good sleeping patterns’. Having rhythms during the day (and night) that respect your style and your baby’s needs. Doing your shopping, preparing a meal for you and your family. Support in becoming confident with all baby care topics; bathing, handling, burping, nappy change etc..
£25 + £8 travel expenses for day time sessions with a minimum of 20 hours in total. £300 flat rate for a 12 hours night support session (works out £25 x hr, no travel expenses). Since my postnatal doula training and full doula uk recognition obtained, I have worked with numerous families, regularly focusing on their needs in those few early weeks: breastfeeding, but also nutritious food for mum and dad! Sleeping patterns, sleeping environment, baby care, baby development stages, siblings communication and involvement as well as helping first time parents gaining more confidence feeling secure in all aspect of early parenting. 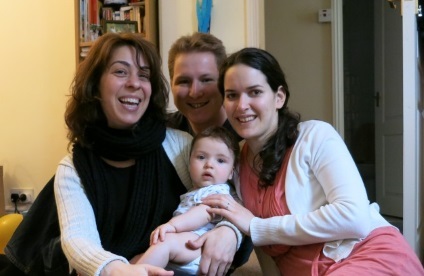 See what my previous postnatal doula clients in North London say on my testimonial page. For more information about my qualifications and the benefits of having a child birth companion see the Doula North London page of this website. Call me on 07735 980 620 for an informal chat.